This is a pediatric dental clinic, treating children ages 3 to 20. Services include exams, x-rays, preventative dental education, oral hygiene instructions, emergencies, cleanings (prophylaxis), fluoride treatments, sealants, fillings, and extractions. Dental health presentations are available for pre-schools, elementary schools, adult centers, nursing home staff, community groups, and civic organizations. Available Appointments: We try our best to schedule children as soon as possible. But please remember that we have a large population of children in need of our services. Eligibility: Medicaid recipients, ages 3-19 years old. Monday through Thursday except holidays. Finding dental costs for procedures is difficult. We created this section so users of our website can see what others have paid for dental treatment at Holmes County Health Department Dental Clinic. 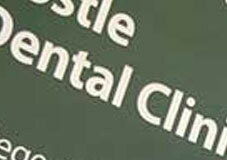 Do you know how much Holmes County Health Department Dental Clinic charges for services? Attention We cannot guarantee the dental costs to be completely accurate. They are displayed for informational purposes for our users. We have compiled prices provided by users and online research. In order to obtain actual costs please contact Holmes County Health Department Dental Clinic directly.